Today, a 33 year old pastor was arraigned by the Economic and Financial Crimes Commission (EFCC) on a nine count charge bordering on obtaining money under false pretense. Pastor Henry Uhunmwagho was brought before Justice P.I. 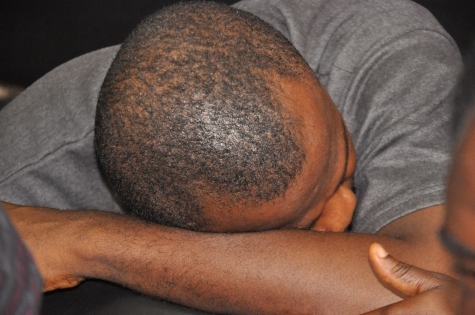 Ajoku of the Federal High Court 2 sitting in Benin City, Edo State. “That you Henry Uhunmwagho on or about the 13th day of August, 2010 in Benin within the jurisdiction of the Federal High Court did with intent to defraud obtained the sum of N300, 000 (Three Hundred Thousand Naira) from one Odion Princewill C. under the pretense that you were going to procure a United States of America Visa for him which you knew was false and thereby committed an offence contrary to section 1(1) (a) of the Advance Fee Fraud and Other Fraud Related Offences Act of 2006 and punishable under section 1(3) of the same Act”. Henry, a pastor with Church of God Mission, Suleja, Niger State, was arrested by the EFCC on May 11, 2012, following a petition by Godwin Ochai, a legal practitioner, on behalf of one Odom Princewill. 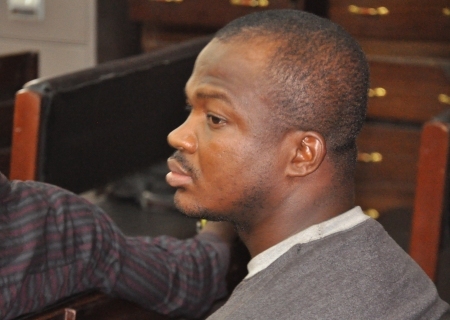 He was alleged to have collected the sum of One Million, Four Hundred and Thirty Six Thousand Naira (N1, 436,000) under false pretense to process a United States of American Visa for the petitioner but failed to do so. Though he pleaded not guilty when the charges were read to him in court, the accused had admitted in his statement to the EFCC that he collected the alleged money from the petitioner and gave it to one Eze Chucks ( now at large), to process the visa but failed to do so. Princewill, in his petition against Henry, alleged that sometimes in 2010, he was introduced to the accused, by Rev. Uzor Onyekwere of the Church of God Mission, Benin. The petitioner alleged that the suspect claimed to know an in-law to the then Nigerian Ambassador to Canada and promised to help him secure a two-year visa to United States of America. “I paid a total sum of one million, four hundred and thirty six thousand naira (N1, 436, 000) into Mr Henry’s Diamond Bank account, but the visa was not processed. At a point, he asked me to go to the Abuja International Airport and wait for the personal assistant to the Nigerian Ambassador to Canada whom I will be travelling with, but I did not see anybody when I got there. I tried to call Henry, but his phone was switched off,” Princewill said. The defense counsel, Pius Ezeh moved the oral application for bail but was opposed by the prosecution counsel, Chioma Okongwu. Justice Ajoku in her ruling said the defense counsel did not present anything before the court to show why the accused should be granted bail. She adjourned the matter to November 29, 2012 for hearing on the bail application and ordered that the accused be remanded in prison custody.